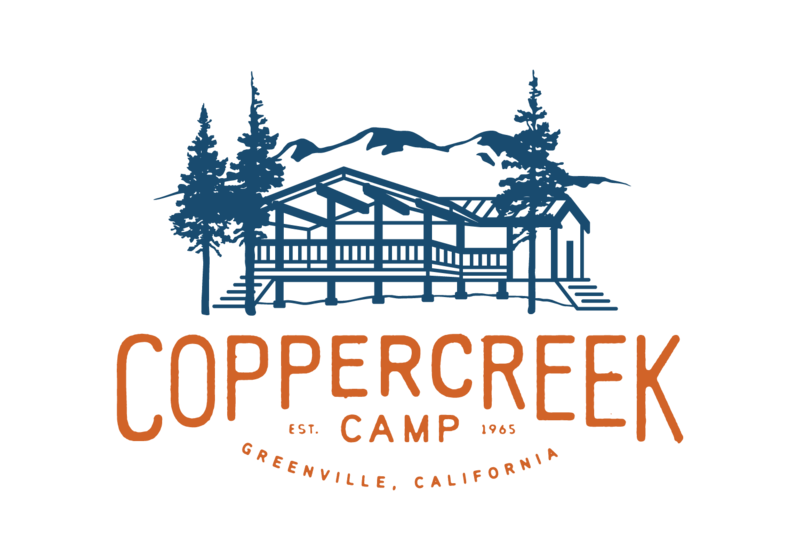 Coppercreek Camp offers campers free choice of over 50 activities in our Traditional Camp program. Activities are chosen and designed with the emotional and physical development of campers in mind. The cornerstones of our camp program are what we call our Specialty Programs. These programs offer campers several different levels of participation, from just trying it out to really dedicating themselves to the program. Our Specialty Programs are Climbing, Equestrian, Mountain Biking, Drama and Water-sports. Campers may choose to specialize in one or several of these programs during their stay. *All of our activities are included in tuition and open to all ages. Our high ropes course is the only exception; you have to be going into at least 6th grade to go on our high ropes course. Archery and riflery are both skill-building activities that offer our campers instruction, progression, and the opportunity to set and achieve goals within a structured program. Our riflery program emphasizes safety, challenge and skill development. Campers can take home their targets showing their bullseyes! Coppercreek’s BMX course is a masterpiece designed and built by our own staff and campers. It has gap jumps, doubles, tabletops and the ever-popular “PIT”. Campers race, jump, have style contests and even help build and maintain this growing and changing course. One of the really special things about our BMX course is that whenever a staff member or camper has a great idea for a new element, we bring a dirt-moving machine (tractors, loaders and shovels) in and build it. The course is constantly improving and campers and staff have truly made it their own. BMX runs separately from our mountain biking program, so campers do not need to have participated in a mountain bike ride in order to try out the BMX course. The spirit of the climber: Is it in you? Do you dream of stepping into the realm of vertical reality? Have you ever seen photos of people climbing and wondered how do they do that? Coppercreek’s climbing program is dedicated to stretching camper’s limits above the ground, and to taking campers past the mere physical aspects of climbing. Campers will learn how to use all of the latest, greatest equipment and techniques. All of our climbing programs are designed to challenge each camper’s individual skills. For some campers just getting their feet off of the ground is a huge accomplishment. Other campers are ready for multi pitched routes, full day and overnight climbing trips. Coppercreek’s climbing program has something for everyone. We are dedicated to teaching our campers to be confident and competent with their feet off the ground. Coppercreek Camp’s climbing program offers Traditional Campers a variety of options for participation. All campers are eligible to climb our climbing wall, and to participate in day trips to local climbing areas. Campers going into 6th grade and higher may also sign up for a morning on our High Challenge Course. Campers that are passionate about climbing will get their fill with our Thin Air Patrol (TAPs) program. TAPs is one of our most exciting and fastest growing Traditional Camp programs. Rock climbing has a long history at Coppercreek, and we are thrilled to see new life and energy steering the program. TAPS is a skill based program designed to foster a love for climbing as well as build the skills and knowledge necessary to safely enjoy one of the oldest sports in the world. Campers who choose to participate in TAPS will begin in camp at our 40-foot multi route climbing wall and bouldering area. Campers are introduced to climbing hardware, safety equipment, rope handling and climbing skills. Within the first week of camp, campers have an opportunity to graduate from the artificial climbing wall to one of the natural climbing sites in our local area. TAPS culminates with an overnight climbing trip for those campers who demonstrate a commitment to the program. This 2-day trip for many campers is the highlight of their camp experience and the beginning of a lifetime of adventures. Craft activities of many types go on all day at Coppercreek. Every day there are special projects such as tie-dye, mask making, candle making, jewelry making, and kite making. We, of course include the old standards, such as drawing, painting, and lanyard making as well. Some of the more elaborate activities allow the campers to mold, sculpt and carve in various mediums. Our craft program is varied and dynamic. Our pottery program is adjacent to the craft area and has two pottery wheels and a kiln. Campers can learn to make pots and cups, build slabs and the correct way to prepare clay for successful firing. Campers who participate in our craft program will bring home projects to be proud of. Campers who love to dance will find plenty of opportunity to practice and perfect their skills. We encourage the campers in our dance program to choose their music and choreograph their own routines. We have staff who are tap dancers, ballerinas, jazz and swing dancers, all eager to share their knowledge and skills. All campers can also participate in our day trip outings. We climb Lassen Peak, day hike into Bumpass Hell (the sulphur works in Lassen National Park), fish and canoe at a local lake, and rock climb at several local climbing areas. We also offer a special day trip for our CITs to Lake Almanor for an afternoon and evening of wake boarding and water skiing, stand up paddle boarding, barbecuing, and bonding on the sandy beach. In all of our performing arts programs, campers can explore their creative side and participate in every aspect of the process with the guidance of our incredibly talented staff who live to share their love of music, theatre and dance. In our drama program, with a costume closet stocked with an assortment of pieces, individuality and teamwork combine to create sets and camper written and directed plays. Drama is scheduled every afternoon and campers can participate on any level from behind the scenes to acting in the lead role. The drama program culminates in a 30-minute performance on the last evening of camp. These performances have ranged from camper written short plays to A Midsummer Night’s Dream. Previous performances can be found on our YouTube channel. Coppercreek Camp has a large, dynamic and diversified, English riding program. Our riders range from first time beginners to campers who are jumping up to 3 feet. Campers can sign up each week for a daily, one-hour lesson. Typically, campers are placed in riding lessons with a group of 3-4 other campers of similar ability. We teach a balanced seat first, focusing on proper fundamentals. Our classes progress through basic flatwork to jumping for those campers who are ready. In all lessons, our staff put the safety of the campers and the happiness of the horses first! For our really horse crazy campers, we offer many different specialty activities: miniature horse driving, vaulting, Saddle Club, the Certified Horsemanship Association levels, and more to compliment our Traditional Camp program. To learn more visit our Equestrian page. Our farm animal “petting zoo” is one of our most popular activities for all ages. Scheduled twice each day, the farm animal program gives campers a chance to feed, clean up after and love our fuzzy friends. One summer, our pygmy goats (Honey, Bunches, Biscuits, and Gravy) entertained and delighted campers with their antics. King of the Mountain was their favorite game. Sometimes, they even let the campers play! We have had baby lop-eared bunnies, sheep (or the kids call them “shoats”), miniature donkeys, pigs, bantam chickens (nicknamed Rod Stewart and Tina Turner), and a duck who grew up with chickens and actually acted more like a chicken than the chickens did. All of our animals wait at the gate every morning and afternoon for the campers to come play (or feed them). All of our animals are kid-friendly and love the attention that they receive each day. Campers are always accompanied by a staff member in the small animal pen. Games are an integral part of summer camp. From an evening session of board games on our dining deck to volleyball, soccer and basketball to ping pong and tether ball, we offer all levels of games to increase friendship building. Most of our games are noncompetitive, but occasionally we do throw in a fun award to the winning team (usually the team with the loudest and silliest cheer!). Even the most competitive soccer games at Coppercreek are still friendly and non-threatening for all ages and skill levels. We stress participation and teamwork rather than winning and losing. Our goal is for each camper to perform to the best of their ability. Mountain Biking is one of our skill-based programs offering traditional campers several different levels of participation. For campers new to the sport or who just want to take a ride or two during their stay, we offer shorter rides, easy trails and instruction in the basics. For the more experienced or more dedicated mountain biker, we offer longer rides, single tracks, jumps, trail building and the chance to earn a trip to a local downhill course. We offer music lessons virtually every afternoon. We always have several people on staff who can teach guitar and at times, we have offered drum, fiddle, mandolin and harmonica lessons. These music lessons can range from the most basic chords to learning entire songs. Our end of session talent show is always a great showcase for these newfound talents. Located on 200 acres and surrounded by trees and mountains as far as the eye can see, the forest is truly our classroom here at Coppercreek. With 3 ponds and a natural creek on the property, there is ample opportunity for frogging and fishing. Our ponds are full of bass and bullfrogs. Occasionally, we are visited by blue heron and osprey as well. Our nature pavilion located next to one of our ponds is equipped with aquariums, microscopes and work tables. The nature program is designed for camper exploration and interaction with their natural environment. We dissect owl pellets, make star maps, collect and identify flowers, animals and plants, and just get muddy! Skateboarding made it’s debut at Coppercreek in the 4th session of summer 2007 with a brand new ramp. The ramp is a very popular spot in the mornings and afternoons as our staff and campers teach each other the newest tricks! Many kids will bring their own skateboards and scooters to try on the ramp, but we also have plenty for everyone here on site. Water-skiing, wake boarding, stand up paddle boarding, kayaking, swimming, canoeing, dam building, and water games; when it comes to water sports and activities, Coppercreek has it all! Sleeping under the stars is something that all campers and CITs have the chance to experience during their stay at Coppercreek. The first Wednesday of each session is outpost night. All of the campers get to hike out to the creek on our “Back 40” acres, roast hot dogs and marshmallows on an open fire and camp out for the night. Campers go out as cabin groups and staff plan special “cabin bonding” activities. The traditional watermelon hunt and creek stomp start this magical evening that usually ends with s’mores around the campfire. Campfire happens several evenings a week. We sing, dance, perform skits, dress up in costume and sing some of the silliest songs ever written. Our campfires are usually very loud and very rowdy with lots of audience participation, several guitars and occasionally a drum solo or two. Every cabin group is assigned a skit at least once each session, so every camper gets the chance to be on center stage. On Friday nights we have themed dances. Everyone comes together in silly costumes and face paint to boogie down to the latest pop hits and old favorites. Two or three times a week, we offer “evening activities” rather than an all camp evening program. These evening activities tend to be different than daily activities. Campers can choose to go on a nature hike, play charades and drama games, fish and canoe at Lake Almanor or Round Valley Lake, go on a sunset mountain bike ride, sign up to be in a round-robbin soccer tournament, paint water colors at our Vespers area looking out at the sunset over Keddie Peak, or an evening swim in our pool. The CITs often go for Teen Social Night at Lynne’s Pond. Every other Sunday is Vespers, our words and music program. Everyone hikes up to a small clearing above the cabin area with a spectacular view of Keddie Peak. Campers and staff share poetry, play guitar, sing, and reflect on their time at camp. Cabin groups often give thank yous to their counselors or giggle over a silly time they had at Outpost. We all listen and share while doodling in a notebook, working on a friendship bracelet, or simply watching the sun set. This is a quiet evening activity designed for reflection. The JCs and staff host a Talent Show on the second Thursday of every session. With full tummies from Craig’s BBQ, we waddle down to the campfire area for an evening of camper and counselor performances. The Talent Show always starts with a performance from our vaulters down at the riding ring. Sometimes we even walk down to the skate ramp to see some campers’ new tricks they learned over the session. This is a great time for campers to show off new and old talents in a welcoming, friendly, noncompetitive atmosphere. The most anticipated game of each session is the Saturday night all-camp Capture the Flag game. For two hours, the entire camp is split into two teams. Each team’s goal is to steal the other team’s flag and bring it back to their side. Campers can be flag guards, jail guards, defenders or scouts. There is always lots of running, laughing and rarely a winner! View our session dates and rates! Learn about our transportation options! Check out a typical day at Coppercreek!